Some stuff for our motorbike have just a good-looking trait. Some others instead lead to great technical advantages. 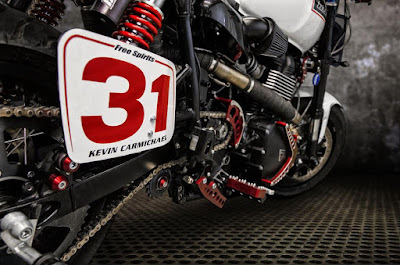 The greatest property of Free Spirits special parts is that they are made for performances upgrade and aesthetic addition: by this way our beloved bike has racing and well-finished character. Take as example the dynamic chain tensioner, that is made with the same know-how of venerated belt tensioner for Buell and H-D: it’s planned for keeping chain lightly and constantly tensioned, balancing pull and dumping due to swingarm movements. Motorbikes have souls and tell us their sensations, you’ve just to listen them. 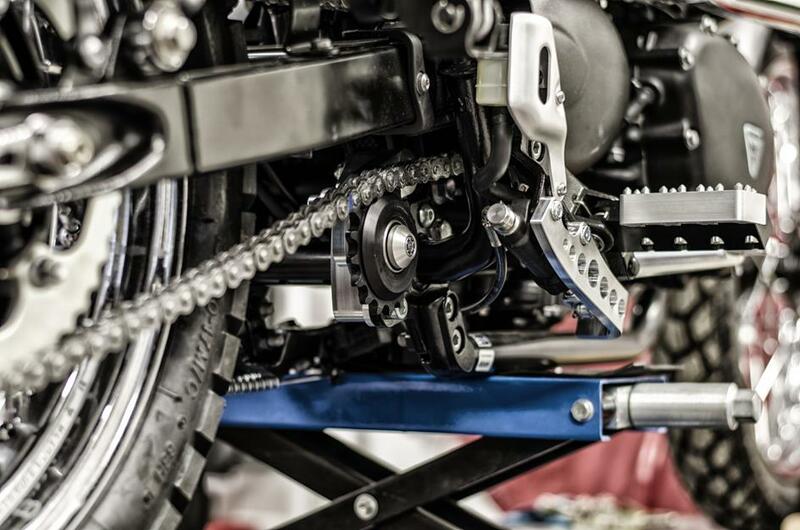 With Free Spirits dynamic chain tensioner you could make an appreciated gift to your bike. This technical part muffles every chain charge, protecting wheel bearings and gearbox. In other words: with this little part, that you can assemble in few minutes and that needs no modification, you can increase transmission life. The Free Spirits dynamic chain tensioner is a good and useful stuff that you can point out choosing it in red 307550R or silver 307550S anodized finishing. As every Free Spirits components, it’s supplied with everything you need to assemble, in addition to clear and easy instruction. We are waiting for you from 25 to 28 June at our stand to Tridays.